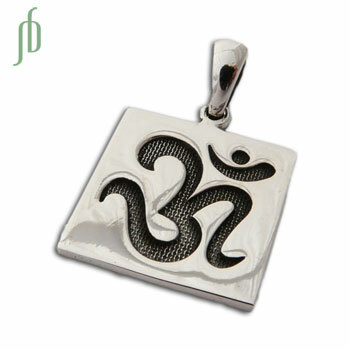 Groovy modern om silver om, square shaped pendant with aum. 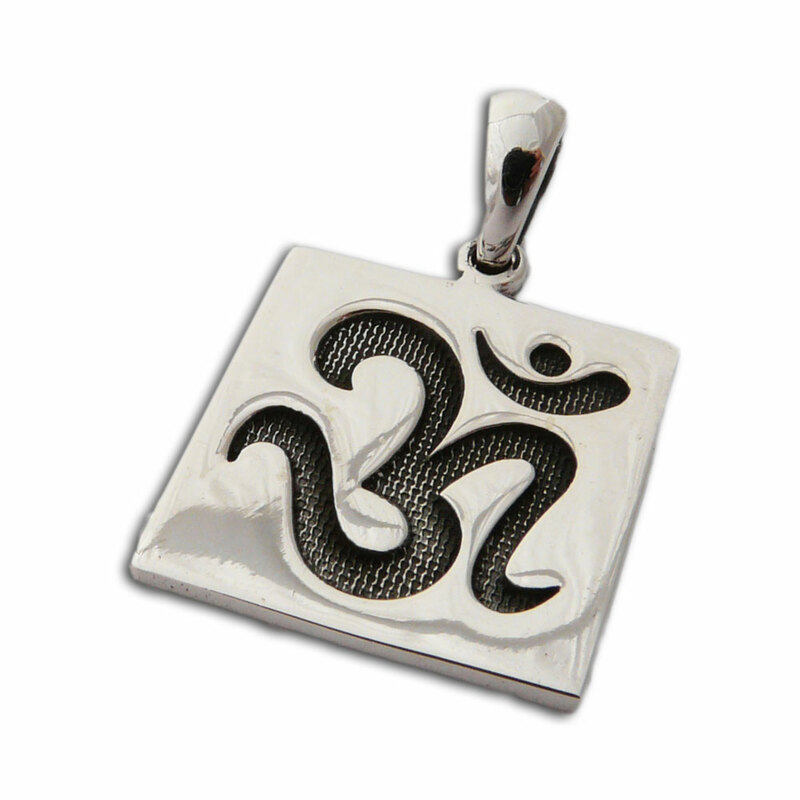 This is a perfect om pendant for guys and gals. You can order either the pendant alone or on one of our necklaces.